Paw on the snooze button. Snoring is caused by obstruction of the nasal passages or trachea that leads to airway constriction. The first thing to know about snoring is that it can be both normal and abnormal in dogs, and there are numerous reasons for each. Snoring can be caused by breed related differences in body shape. Snoring is most commonly seen in brachycephalic breeds, which refers to breeds with short noses. 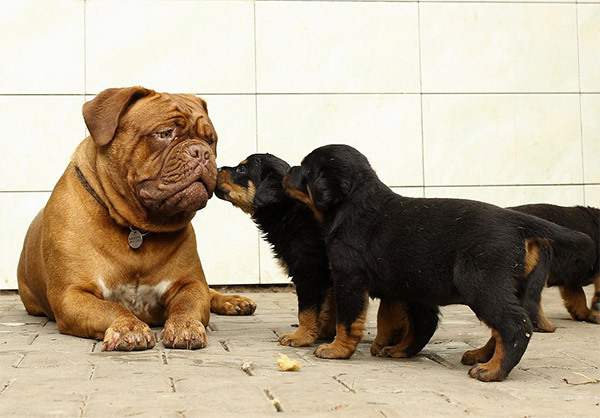 Examples of these breeds include English bulldogs, French bulldogs, pugs, Pekingese and boxers. These breeds have several reasons for snoring. The most common reason is excess tissue in the pharynx. However, several other things may cause airway obstruction such as elongated soft palates, narrow nasal passages, and shortened tracheas. 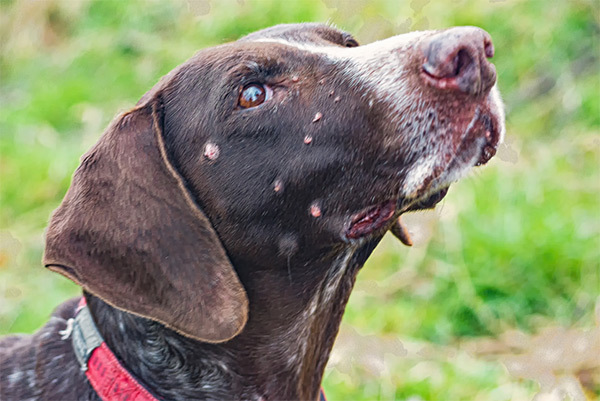 These are common breed related problems and are typically diagnosed and treated, if possible, early in life. Another major cause of snoring is obesity. Overweight animals have excess or enlarged nasal and pharyngeal tissue that presses on the airways. Obesity can be treated by decreasing calorie intake and increasing exercise at home. Dogs should be fed to their target weight, and oftentimes switching to weight loss diets and treats and limiting snacks can help significantly. Increases in activity such as play dates, outings to the dog park, and increasing walk times can help combat obesity-related snoring. Snoring can also be caused by allergies and irritants. Just like people, animals can be allergic to pollen, dust and dander. These cause inflammation of the nasal passages and sometimes a build-up of nasal secretions leading to snoring. Irritants in the environment can also lead to inflammation of the nasal passages, so beware of changes to carpet cleaners, laundry detergent and household cleaners that may be causing sensitivity to nasal tissue. Allergies can be treated at home with antihistamines such as Benadryl, Zyrtec, Claritin, or canine prescription medications. Specific doses for each dog should be discussed with a veterinarian. Environmental irritants are best treated by removing the source of the irritation. Consider changes in the environment as a potential cause of increased or new cases of snoring. Snoring may also be affected by sleeping position. Changes in bedding type may allow a dog to rest in a different position and decrease their level of snoring. Upper respiratory infections can also cause snoring due to mucus build up in the nasal passages. Dogs may also snore due to masses in the pharyngeal area although snoring is not the most common symptom of this issue. Breed related causes, upper respiratory illness, and masses should be addressed by a veterinarian. Snoring that was not previously present may be a sign of a medical issue and should be evaluated.